January | 2013 | The Fantastic Flame On! Every "Flame On! ", "It's Clobbering Time", and more. 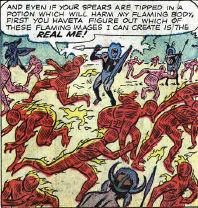 Brought to you by The Fantasticast – your bi-weekly podcast covering The Fantastic Four from the very beginning! 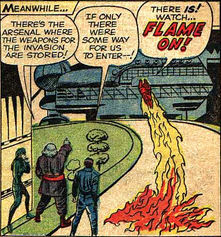 Then it’s on to Strange Tales #122, which features Three Against The Torch – Doctor Doom’s super-powered henchmen going up against our flaming hero. Listen to the episode below, or click this link to go to the libsyn page for the episode. We are now available on Stitcher, both through Stitcher.com and through their app. 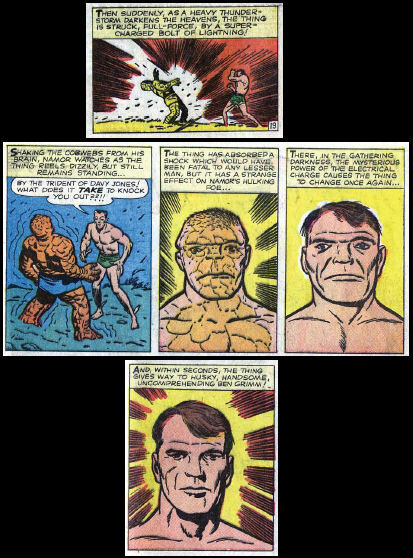 Send feeback to the show to fantastic4podcast@gmail.com or through the comments on this blog. 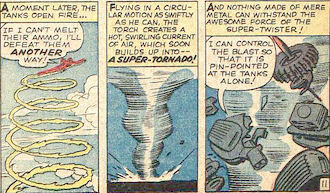 It’s a teeny-tiny Flame On for today’s hastily-written post! 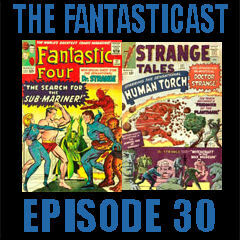 It’s the 30th episode of The Fantasticast, and our first episode of 2013. Then it’s over to Strange Tales #121 and the highly-anticipated dreaded return of The Plant Man, before taking a fast dip into Daredevil #2 to see how a guest appearance by Marvel’s First Family helps or hinders the second issue of this troubled title. We end with a song and a new closing tag. The Fantasticast Episode 163: Marvel Feature #11 – Cry Monster! 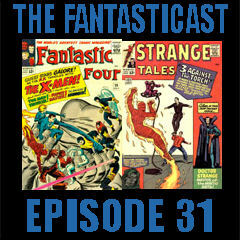 The Fantasticast Episode 162: Fantastic Four #138 – Madness Is… The Miracle Man!